Inspired to build your own wardian case ala yesterday's post? 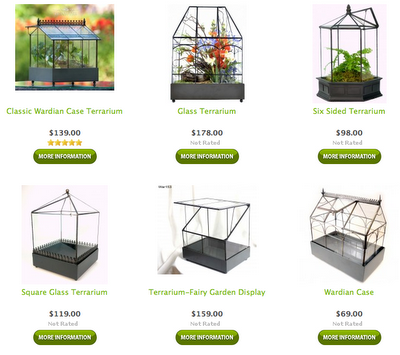 H Potter has a variety of leaded terrarium vessels befitting the best plant explorers of the nineteenth century. I'm partial to that six-sided one myself. 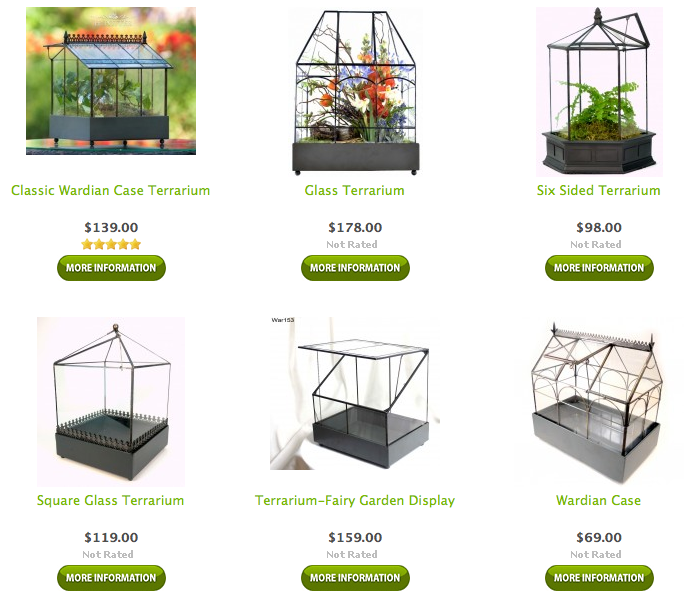 And remember, a wardian case makes a great container to observe your new terrarium plants before planting them in a narrow-necked bottle or other hard to access vessel. Read more about observing plants and moss in a quarantine setting here.